MUMBAI: While we stay connected to every form of music, there are some forms which we might have experienced but don’t know the actual name or the story behind. Anyone following, western classical music would know what Chamber music is, but for the beginners, let’s take a preview. Orchestral music is how we often experience Western Music, but chamber music is the other side of the same coin. Chamber music is named so, as it could be played in palace chamber or a large room. In contrast to Orchestral music, Chamber music comprises not many musicians, with a ratio of one musician per instrument, in contrast to Orchestral music, which has string instruments played by multiple musicians. The underlying concept being, Chamber music is for a limited ensemble of musicians. Joseph Haydn is addressed as the “Father of the string quartet” as he developed the conversational compositions among musicians. This form of music is enthralling the audiences for over two centuries. Moving on, Mozart, Beethoven and Schubert, contributed to further development of this music in years to come. However, as the music, like every other art, was hugely dependent on patronage, with a downfall and bankruptcy of the patrons, came a downfall for chamber musicians too, towards the end of 18th century. In the middle of 19th Century, things moved in a positive direction, even saw changes in the instruments and their structure. As time moved on to 20th Century, it was Johannes Brahms who took the lead to keep Chamber music alive. In today’s age, the number of amateurs or enthusiasts for Chamber music has increased. But there are also many proficient Chamber musicians present and performing. While in India, the opportunities to experience Chamber musicians are far and few, we do get lucky at times. 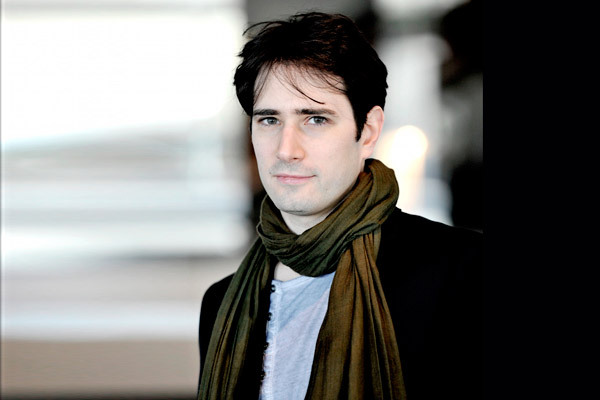 Artie’s Festival in collaboration with National Center of Performing Arts (NCPA) will be presenting Emmanuel Christien, a world-renowned Pianist and a Chamber musician in its 21st edition. To begin with, the concert starts with piano and violin, followed by Volta Quartet and SOI in the second half of the show, giving a lot to look forward and in his own words, the experience would be worth remembering for, given their chemistry on stage, as he says, “I personally am looking forward to a cocktail of energy, good spirit, humour, spontaneity. All this together will bring something inspiring.” The two pieces to be performed by him would be, Bal Sheem by the composer Ernest Bloch and the famous piano quintet Op81 by A.Dvorak. MUMBAI: Tabla maestro Zakir Hussain, conductor Martyn Brabbins and Swiss pianist Andreas Haefliger will perform at the 2019 spring season of the Symphony Orchestra of India (SOI) at the National Centre for the Performing Arts (NCPA) here from 4 to 16 February 2019. MUMBAI: Recently, the first authorised biography of maestro A R Rahman, Notes of a Dream released. A biography helps the fans to gain an insight into the life of their favourite musician or star. Let’s have a look at biographies of seven landmark artists from the field of music. MUMBAI: While India is still waking up to different genres of music apart from Bollywood or ‘pop’ music, Opera is not a completely alien concept. Historically, Indians have seen narratives weaved in music. MUMBAI: Artie’s Festival returns for its 21st edition after travelling through China, Kazakhstan, the Gulf and, Europe. One of the highlights of the Festival this year is the performance of the co-founder of the festival, Olivier Patey. MUMBAI: Good morning people! There’s something really relaxing about a nice sunny Friday morning. As you sip on that coffee while you’re at work, we bring to you a collection of ad jingles that never fail to make you smile. This obviously had to be on the list.